Anne Robinson hosts My Life in Books. Ten episodes on BBC Two in the run-up to World Book Day. There is an episode each weekday evening this week at 6.30. I got myself organised for the first of these last evening, with author PD James and (55 years her junior) radio presenter Richard Bacon. This programme was a disappointment. The visual backdrop of blown-up texts seemed to me fussy and distracting. Anne Robinson wore her stern, detached, journalistic air – despite advance notice that she would adopt a different persona – when this viewer was looking for some spark of enthusiasm for the books discussed. The programme seemed unsure and jittery in its format. At first I thought it was intended to be an intimate chat about favourite books between Robinson and her two guests. Then we realized there was an audience from whom we heard an occasional muted laugh and got one shot of the back of their heads. And the use of the occasional video and audio clip was clumsy. I did come away with two reads that I will follow up: Cyril Hare’s Tragedy at Law which, according to James, shows it’s possible to write well and produce a classic detective story; Richard Bacon persuaded me that David Nicholls’ One Day would be a good Book Club selection. But I won’t be back in front of the telly this evening. Hi Patricia, I just caught the end of an episode yesterday and I definitely agree with your assessment of it. Such a shame because on paper it’s a great idea for a show. Hi Maire. I thought that one of the problems with the first episode (I did not watch any more) was that PD James and Richard Bacon did not appear to have read the books selected by the other. If they had, they did not seem to have any enthusiasm for the other’s choices so there was little engagement between them. And Anne Robinson’s clipped style did not help in drawing out her guests. Maybe I’ll relent and watch another episode! I love this programme, following on from the eggheads makes for a really good early evening viewing and before the eggheads, put your money where your mouth is – at last I have found viewing that I really enjoy away from all the shouting and screaming of reality TV. A really good way to relax me into the evening, and get me reading again! June, I returned to the series this evening. I have to say that today’s episode – with Trevor McDonald and Rebecca Front as guests – was far better, in my view, than the first episode I saw. I put this down to the enthusiasm of the pair for their books and the excellent rapport between them as each engaged with the books of the other. Also, Anne Robinson herself was more animated, partcularly with the nonfiction books. She was particularly enthused by Trevor’s choice of James Cameron’s Point of Departure, reflecting I think her own enthusiasm for journalism. I’m still not sure that having a studio audience adds much to the programme or the video / audio clips. It seems to come down to the engagement between the guests and the presenter. And if, as you say, it gets the audience reading again, that can’t be bad. I’ve stuck with it all week and the best episode has to be with Sue and Giles. They bounce off each other wonderfully, they are excited about their books and each others. Anne seems to be more relaxed with these guests and the programme flows along beautifully. I’ll hang on until the bitter end. Thanks Sabrina. You sum it all up well – the programme works when the guests are excited about each others books. Also, it seems to me that Anne is more engaged with the nonfiction than the fiction choices. You’ve persuaded me to return again next week for some more episodes. Looks like the the first programme may have been the weakest so far. I have watched 3 of the 4 episodes and enjoyed PD James, Trevor McDonald and the Snows best. I think it would be more interesting if Anne Robinson gave some idea of the books SHE likes and I would also like to know which books the guests are looking forward to reading. I love this programme!the Snows were delightful and yes as far as the pairing of guests is concerned,some have worked better than others but i like the fact that Anne does not interject too much and she lets the guests talk passionately about their choices. I’ve read a number of interviews Anne Robinson gave about the programme. She mentioned Pride & Prejudice, Alice in Wonderland and I Claud (Claud Cockburn) as some of her favourites. Also said that she she is not a great lover of contemporary fiction, apart from books by Margaret Drabble. In the programmes so far, I think this comes through; Anne appears much more enthused, it seems to me, by nonficton books and her passion seems to be for the journalistic genres. I’ve managed to watch the first 3 episodes and I have to say I enjoyed them all and will aim to catch up with the ones I’ve missed. I think Anne does a good job of keeping the chat focused and moving – to cover 10 books in less than 30 minutes can’t be easy. She can’t afford to get too caught up in any of her guest’s choices, there just isn’t time. I’d quite like a longer programme so there could be more chat and interaction. I agree Karen that it’s a big ask to cover 10 books in 30 minutes. I tuned into this evening’s episode with Alastair Campbell and Jeanette Winterson. It struck me that Anne was trying not just to cover the book choices but the lives of the two guests as well! I was intrigued at the way Jeanette tried to include the audience by turning towards them while Alastair mostly directed his comments to Anne. What a delightful programme, and so inspiring to read and explore something different. Well done. I especially enjoyed Sister Wendy and Lawrence L. Bowen. However tonight’s episode with somebody Winterson and Alistair Campbell was tedious. It didn’t help that I didn’t know either of them and cared less about their selections. It does seem to be a mixed bag and very much down to the guests. I too found yesterday’s programme uninspiring and too heavily directed by Anne; was delighted with the one that included Trevor McDonald and it seems to me that individual guests can make the programme shine in spite of its structure. I agree Pauline that it’s great to have programmes about books and even better if we could have more of them. I’m intrigued by the list you have personally selected from the episodes. Maybe you could share it with us here when you’ve a final choice? The object is to introduce you to books you may not have read, I agree the mix may not always be spot on, but my list of books to read has grown. We all get stuck in a rut sometimes and it’s nice to be steered in a new direction and to be encouraged to read books you might never normally pick up. Yes, the programme has directed me towards books I would put on my list, like Elizabeth McGovern’s choice last evening of The Black Stallion. I thought she and the Duchesss had a nice gentle, respectful rapport. Elizabeth read the book extracts beautifully, especially when she read out a recipe as if it were a poem! I hope you continued with the series, it has been wonderful. So many favourite moments, although a particular favourite must so far be Jeanette Winterson who broke my heart, although the Snow boys were so much fun. All the family have come away with new things to read. Please go back if you haven’t already, the mismatches are a minor irritant. I have been drawn back Patricia and have enjoyed some great moments even if still not convinced that presenter and programme structure are right for the series. I’m thinking of doing what Pauline has suggested – making a list of new reads that entice me from the guest choices. Sorry to see I haven’t caught up with this programme. Hope I can watch on iplayer! I like Ann Robinson and enjoy watching The Weakest Link. However, I think it’s time she stopped her anti-Welsh comments. (I don’t see the need for her lame remarks about Essex people either!). 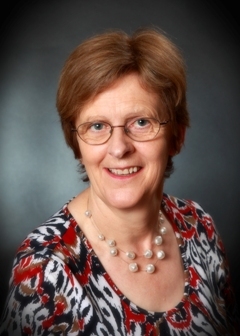 Recently she took the opportunity to sneer at Cardiff – a great little city and a pleaSant place to live. So give it a rest Ann! These jokes are wearing a bit thin, cariad! I too enjoy The Weakest Link but I’m just not as enamoured with Anne as presenter of My Life in Books. Having said that, I have enjoyed a number of the episodes. This evening’s programme was not one of the strongest, I think, even if as a map lover it was nice to see The Times Reference Atlas of the World selected as one of the book choices. 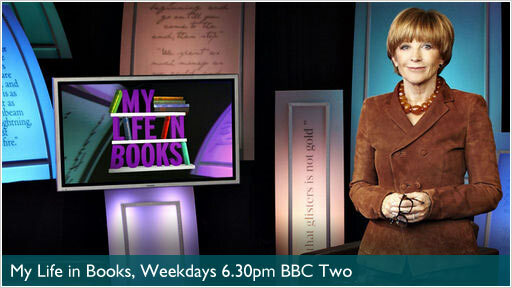 My life in books has been one of the most interesting and entertaining programmes, with Anne Robinson doing a great job of hosting. I hope that the BBC will consider making this a weekly programme. I have watched every episode and enjoyed them all. From someone who has barely read a book of recent, this program has inspired me to get the books back out and I am thoroughly enjoying them. At first I didn’t think Anne would be a good presenter fo this but I have quickly changed my opinion as she comes across as being very interested in all the guests are saying. I don’t necessarily think the guests need to have a great rapport, although at times it can help, the main point is seeing the various contrasts in their lives and how books reflect some of the changes. The great thing that comes from this programme is the great passion and the emotions shown from the book choices. My great sadness is that i only have one more to watch and I will greatly miss the show after this. It would be great to see this as a regular programme. I love this programme. Quite a few books I have never heard of & some of those I will now read. Hope there will be another series. We have watched all of the My Life In Books programmes and really enjoyed them. Naturally some are more engaging than others. Sister Wendy and Lawrence not so good, but Giles and Sue and Sarah Millican and Larry Lamb – absolutely great. The Snows were interesting too. In half an hour these programmes can not be all things to all people, but the series has got me reading again and got us talking, sharing, exchanging, disagreeing and generally considering our ‘hit list’. Please BBC, can you recommission this series and give us a refreshing break from endless cooking and antiques programmes. Good stuff Anne and the team – we really enjoyed this series. I love this programme. I have watched every episode, recorded them and enjoyed them all a second time around. This program has inspired me to read every day. I took ten books on a recent cruise holiday and enjoyed them all. It is interesting to see which books have inspired the guests and how the contents of many have left a great impression on them. A few books I have never heard of and some of those I will now read. Whilst I cannot watch Anne Robinson on Weakest Link, I have enjoyed her hosting this programme. She seems more relaxed and at home with her guests. I do hope there will be another series. I was surprised when I first watched this programme. I feel that Anne Robinson has hosted this programme really well and for me it was something I could understand without feeling out of my depth as there were books of all genres. I enjoyed hearing the views of guests and Anne guides them along gently. It has made me think of books I have read and what they meant to me. My life in books is one of the best series for a long time.Ihope there is another series.Better still it could be ongoing as it is fascinating to know what other people read.Anne Robinson is an excellent presenter whose wry humour and empathy contribute as much to the programme as the guests themselves.I would love to know her favourite books and the stories behind them. From the comments to this post there is no doubt about the verdict on My Life in Books. The majority of viewers loved it and want the series to continue. I am particularly taken by Teresa’s comment that ‘the programme has inspired me to read every day’. That is a wonderful endorsement. Even if I was less than enthusiastic after watching the first episode, the programme did grow on me. And yes, I will tune in if the series is continued in the future. It’s been great getting all your comments. I agree with Paula Nixon- one of the best programmes for a long time! Do hope there will be more. Anne Robinson was a really good interviewer, she just let her guests do most of the talking. I thought the programme was fantastic. I found the Duchess of Devonshire disappointing – having read about ‘The Mitford Girls’ I expected more. However, I loved the episode with Jeanette Winterson and Alistair Campbell. Infact out of each episode I discovered a book I would like to read. I loved the whole two weeks. I don’t have time to watch much tv but made a point of watching this. I thought it was fabulous……….I loved the matching up of the participants. I thought Anne Robinson got it just right, searching without being insensitive. Please lets have more of the same, I look at the paper on a weekend, at a week ahead of tv and find nothing, this programme was something to look forward to. I loved it!!!! As someone who loves books and has worked in libraries for 27 years I was a little wary of this programme as I think it is difficult to present and discuss books in a TV arena without it becoming boring – especially Book Awards and general new book review programmes. However, I was absolutely delighted at this series and hope very much that the BBC continue with it. The concept of having two guests select the five books that have shaped their lives is fascinating and I found myself making notes of authors and books on subjects that I would have never considered reading in a million years! The key point is that the guests are ‘interesting’ people and it is always fascinating for book lovers to discover what others have enjoyed reading. I would love for the BBC make this programme a regular series and screen it at peak time slot. At last an interesting programme with no histrionics and annoying background music. A sort of Desert Island Discs with books. A pleasure to watch and to my surprise, with Anne Robinson doing a good job of hosting. I hope that the BBC will consider making this a weekly programme. I’m actually missing the programme this week! For all my misgivings at the start, it seemed to grow on me. If the programme makers in BBC Two are reading this blog, perhaps we will have the series back?